Thanks to the team at BookBear I am happy to share this Q&A with Stephen Leather, author of the long running Jack Nightingale series. In this new addition to the series teenagers are being possessed but priests and psychiatrists can’t help. Jack Nightingale is called in to investigate, and finds his own soul is on the line. What inspired you to write the Jack Nightingale series? I always loved the Black Magic books of Dennis Wheatley when I was a kid and I’m a huge fan of the Constantine character in the Hellblazer comics (graphic novels as they prefer to be called these days). And I just love supernatural films, especially haunted houses and things that go bump in the night. With the Nightingale series I wanted to explore the supernatural world but with a hero who is very much grounded in reality. The first three books – Nightfall, Midnight and Nightmare – really explain his backstory, how he became the man he is. 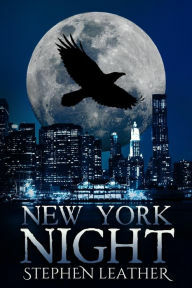 The next two – Nightshade and Lastnight – explain why he had to leave the UK and the subsequent books will be set mainly in the United States, hence San Francisco Night and New York Night. I try not to have a style. Like most journalists-turned-writers I try to tell my stories simply with uncluttered prose. If I find myself over-writing I tend to hit the delete key and start again. I try to write my books as if I was writing for a newspaper, where it’s the information that is being conveyed that’s important, not the style in which it’s written. I do like to write fast-paced books, with lots of dialogue and not too much descriptions. For me, the story is everything. Read. Read a lot. Read good books and bad books and learn from them both. Write every day if you can. I think though that real writers don’t need advice, not about writing. Real writers will be constantly reading because they love books. And they will be constantly writing because they love to write. You need to find your own voice, you need to write the books that you want to write, or that you feel you have to write, and I don’t believe anyone else should be telling you what sort of books to write or how to write them. I don’t think real writers need advice because real writers are self-motivated to improve their craft. They know what needs to be done! Self-publishing is a different matter, there you do need advice because you have to take care of covers, blurbs, marketing and so on. Google self-publishing guru Joe Konrath and read everything he has to say about self-publishing and you won’t go far wrong! writing, but I think I modeled my writing most on Gerald Seymour, who was also a journalist before becoming a thriller writer. I loved all John Le Carre’s books back then, but always felt intimidated by his wonderful prose. 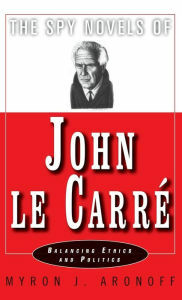 I would finish a Le Carre book and feel that I could never write anything as good as that! At least with Gerald Seymour I would think that I had just read a wonderful novel and that one day I might be able to produce something almost as good! In terms of influencing my self-publishing, I have been inspired by self-publishing guru Jake Konrath. The books published by Hodder and Stoughton are thrillers, pure and simple. The Jack Nightingale series – which Hodder and Stoughton originally published but which I now publish myself – are supernatural thrillers, though they sometimes get labelled as occult thrillers, which is fine. You know, I don’t think there is such a thing, not if you mean a writer who simply cannot write. Like all writers I sometimes have trouble with a storyline or a section I’m writing, but if that happens I simply switch to writing something else, either a different part of the same work or even a separate piece. I always have half a dozen or so short stories in mind so if a book starts to give me problems I might take a few days off and write one of those instead. But as I’m writing a book I usually have several sections already planned out so blocking doesn’t become an issue. My advice to anyone who does feel that they are blocked is to start trying to write something else, anything, just to start the words flowing again! Actually New York Night was an easy book to write, partly because Nightingale is such a great character to work with and partly because I had a pretty good idea of what was going to happen. It took about two months, from start to finish, and at no point did I hit any real problems. The ending didn’t come to me until the last week or so and I think that was probably the hardest part, coming up with a satisfying ending. I just love the Jack Nightingale character. When Hodder and Stoughton decided they didn’t want to continue to publish the series, there was no question that the books would stop. Jack just wouldn’t allow it. I love his sarcasm, his slight air of pessimism, and the fact that he just takes whatever life throws at him. He’s smart and thinks on his feet, yet because the supernatural world is so alien to him it’s constantly catching him off-balance. Having the books set in the United States is fun, because he’s always a fish out of water. It gives me the chance to explore different cities, too, which I enjoy enormously. This one was good fun because I know New York well, it’s one of my favourite cities. The next one will be set in Miami which is also a fun city. I try to. When I’m finishing a book I’m usually so inspired that I write ten or twelve hours a day, producing maybe 3,000 or 4,000 words. But generally I try to write at least 1,000 words a day and am happier if I manage 1,500. A thousand words a day is a good target, assuming the odd day off that’s 350,000 words a year! Obviously there are days when you simply don’t have the time to write but if I’m not at the keyboard for a few days I definitely suffer withdrawal symptoms. Writer’s write, that’s all there is to it. I’ve heard some writers complain that producing their latest book was like pulling teeth, with me it’s never like that. I love to write, it’s what I do.